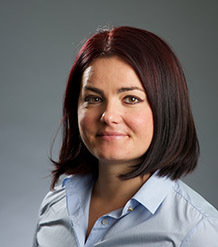 Lora Dimitrova is a Senior Lecturer in Finance at the Xfi Centre for Finance and Investment. She joined the University of Exeter Business School in September 2013. Lora holds a B.A. from the University of Economics-Varna, and a M.Sc. degree from Concordia University. She earned her Ph.D. in Finance at the London Business School in 2013. Lora Dimitrova conducts research in corporate finance with particular emphasis in entrepreneurial finance. She is currently examining acquisitions of entrepreneurial start-up companies by corporate venture capital investors as a way to access external innovation. In recent work she also studies the effects of corporate governance and ownership on the performance of acquisitions of private companies and family firms. Dimitrova L (2017). Perverse incentives of special purpose acquisition companies, the “poor man's private equity funds”. Journal of Accounting and Economics, 63(1), 99-120. © 2016 Special purpose acquisition companies (SPACs) are an alternative investment, structured as a one-shot private equity (PE) deal. Significant cross-sectional variation exists in SPACs' performance, which can be explained by the strong implicit incentives embedded in contracts. SPAC performance is worse for acquisitions announced near the predetermined two-year deadline, for acquisitions with deferred initial public offering underwriting fees, and for acquisitions with market value close to the required 80% threshold. Also, sponsors' involvement in the merged firm's governance improves long-term performance. This evidence has important implications given SPACs' high popularity in recent years and the new PE industry's trend toward deal-by-deal fund-raising. Basu N, Dimitrova L, Paeglis I (2009). Family control and dilution in mergers. Journal of Banking and Finance, 33(5), 829-841. DOI.